Tamil Nadu 12th Result 2019 announced today at tnresults.nic.in. TN HSC Result 2019 declared on April 19 as decided by the Tamil Nadu Directorate of Government Examinations. The TN HSC 12th Result 2019 was released by around 9:30AM at tnresults.nic.in. However, you can also check TN HSC Result 2019 directly from the link provided here. To Check the Tamil Nadu 12th Result 2019 Students needs to know their Exam Hall Ticket Number and date of birth. In this article, We are providing information about TN HSC Result 2019 regarding Examination Schedule, Supplementary result, previous year result statistics. As per notification released. Tamil Nadu HSC Result 2019 will be announced on 19th April 2019. Students can check TN 12th result 2019 or TN +2 result 2019 in our website directly. 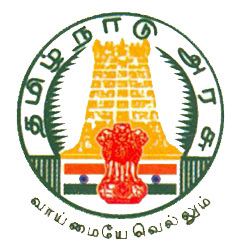 Tamil Nadu Board consists of the Students of Class 12th from commerce, arts and Science Streams. But For all Students, Board will declare their results on the same day. Students need to follow the below steps to check TN +2 result 2019 through website. Please note Steps given is common for all Stream Students. These we are informing based on the previous year Statistics. So, if there is any change notified, we will update the same in this page. Earlier, Tamil Nadu 12th Board Exam started by 1st of March 2019 and got over by 19th March 2019. This time,. There was major changes in the question paper pattern. Also, Language papers were combined (instead of Paper I and Paper II) and were conducted only for 100 marks. More than 8.9 Lac are taking part in the examination. After the declaration of HSC result 2019 of the main examinations. Students who have not able to clear the main Examination will apply for supplementary Exam. Last year Board has conducted the supplementary Examination in the month of June. Same way, TN Supplementary result were released in the month of July. On May 16 2019, TN Declared HSC result 2019. Board Exams were schedule from 1st April to 6th April 2019. The Overall pass percentage of TN HSC result 2018 was 91.1%. Bookmark our page by pressing Ctrl + D to get further updates regarding Tamil Nadu +2 result 2019 date or Tamil Nadu Plus two result 2019.
check TN 12th result 2019 here.